You may not even realize when your life follows a certain rhythm or vibration, nor do you always recognize if it’s the right path. You just follow because life keeps moving. I knew I had been feeling squirmy, but couldn’t define why, or whether it was a chronic Gemini squirminess or something brought on by a significant event. While I’ve set out into the PJ Wilderness, I’d gotten a bit stuck with setting aside time for myself and where to go next. 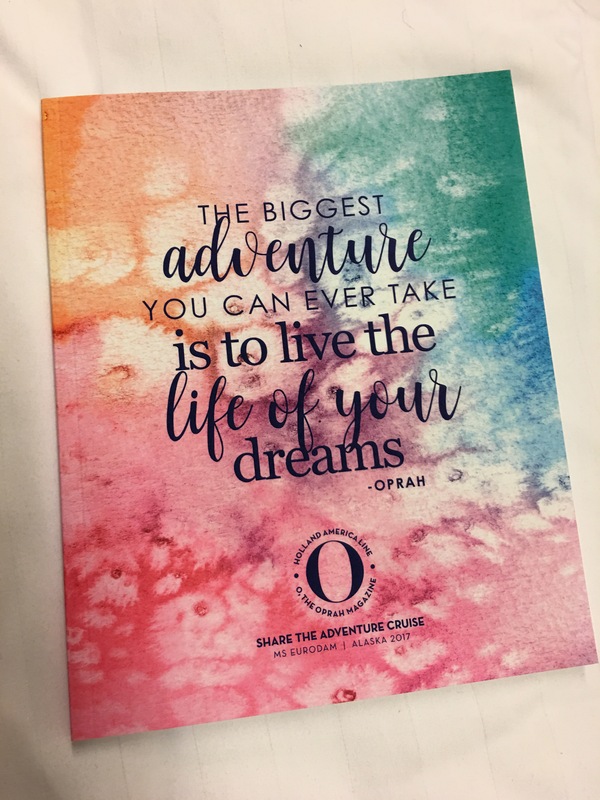 The universe works in amazing ways and O, The Oprah Magazine (OMag) responded with an inspirational offering. 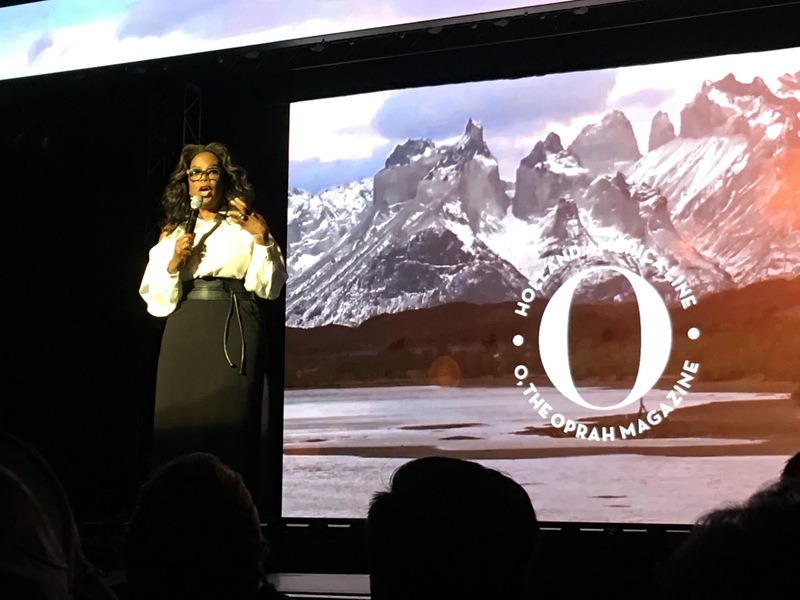 Not only was O Mag setting up an amazing collaboration with Holland America Line (HAL) cruises, but Oprah would be on the inaugural excursion. I booked my cruise to force “me time” with the goal to unstick myself and map out my internal topography (with the help of her team of experts)! Before I set sail, I already received the gift of 9 other #OMagInsiders coming along for a shared adventure! Each day offered O-mazing programs featuring O Mag key staff and Soul Session experts on top of amazing already-scheduled HAL cruise programming. Some guests showed up with specific things that they wanted to focus on, some wished to change their perspective or sharpen their focus. I feel that everyone got what they hoped for! 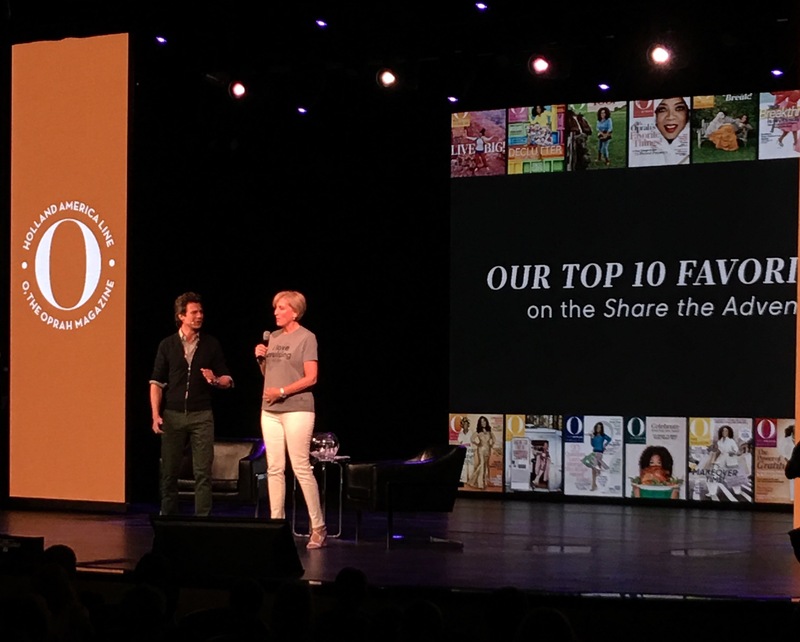 On the last evening, creative director Adam Glassman and publisher Jayne Jamison did their top 10 favorite moments. As with all of their events on board, while they did a great job with the front-end show, we were being showered with secondary benefits! 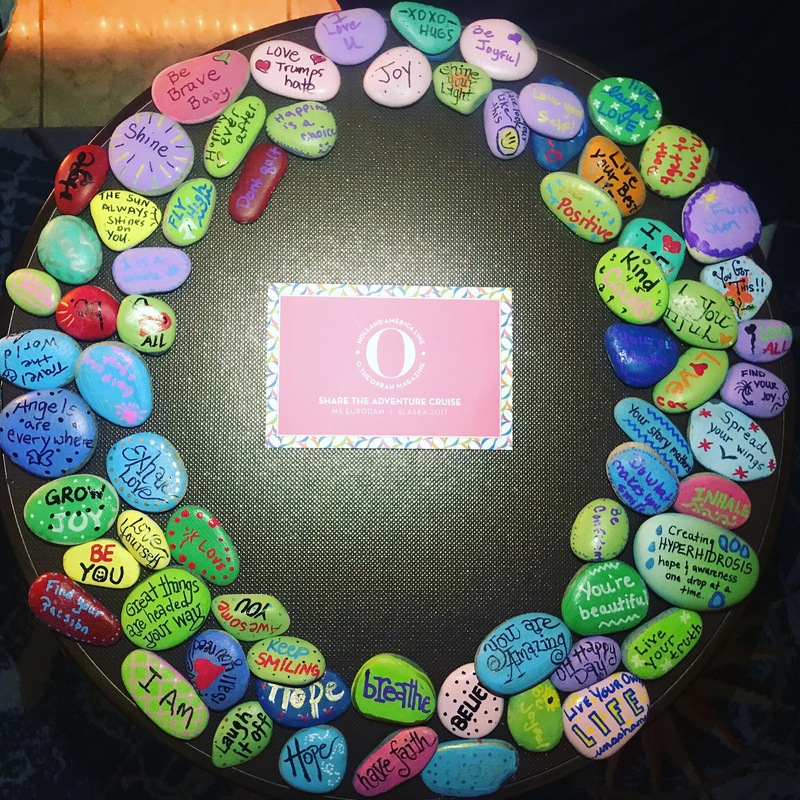 Receiving the Messages – We all love sharing inspirational posts and photos, but receiving messages from peers like author Glennon Doyle, who walked through fires to receive and formulate such messages carries more significance. 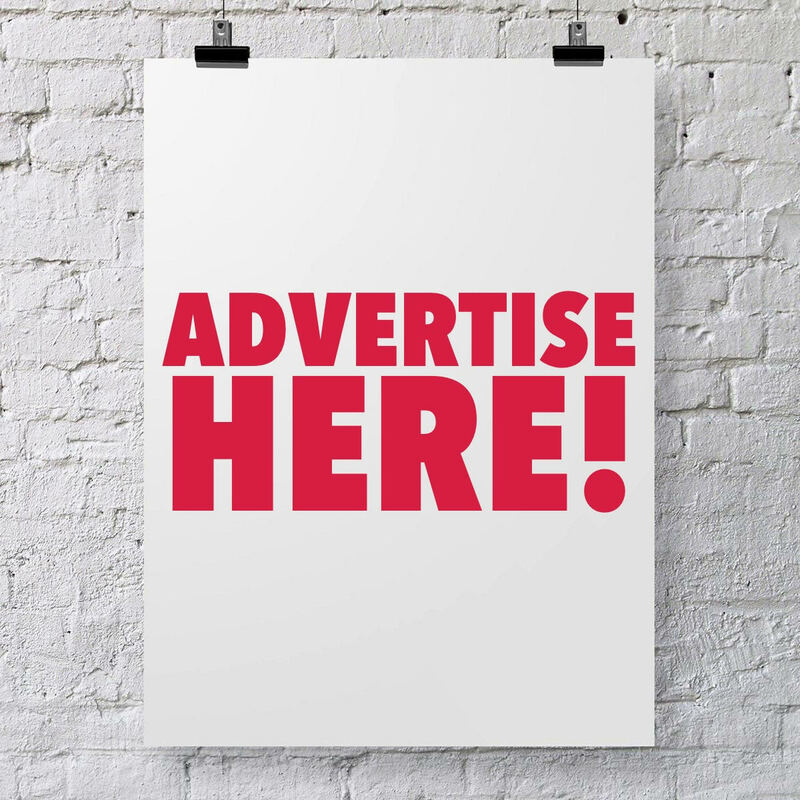 They’ve done the work to help hand you new skills or perspective for whatever challenges you. Rewiring Personal Programming – Receiving life-altering messages using multiple senses helped them sink in. 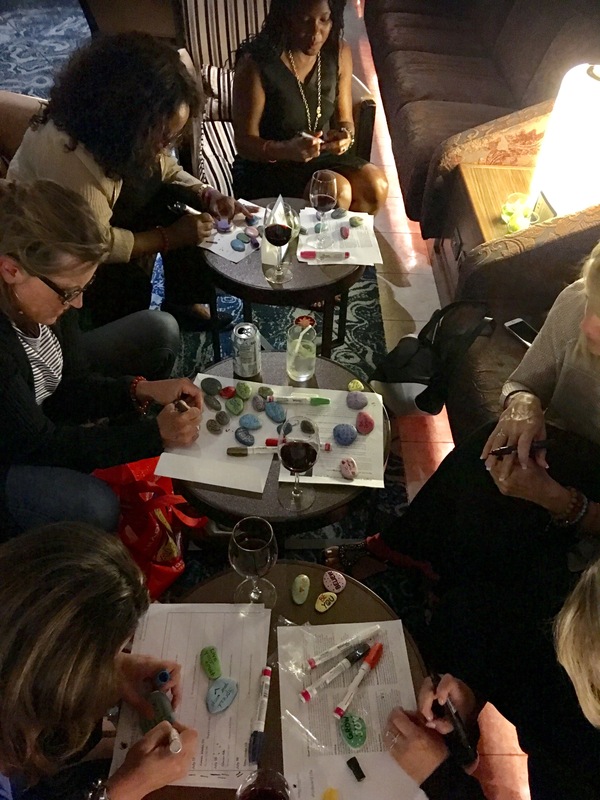 We weren’t just watching an Oprah show or listening to podcasts, we were participating in the activity! 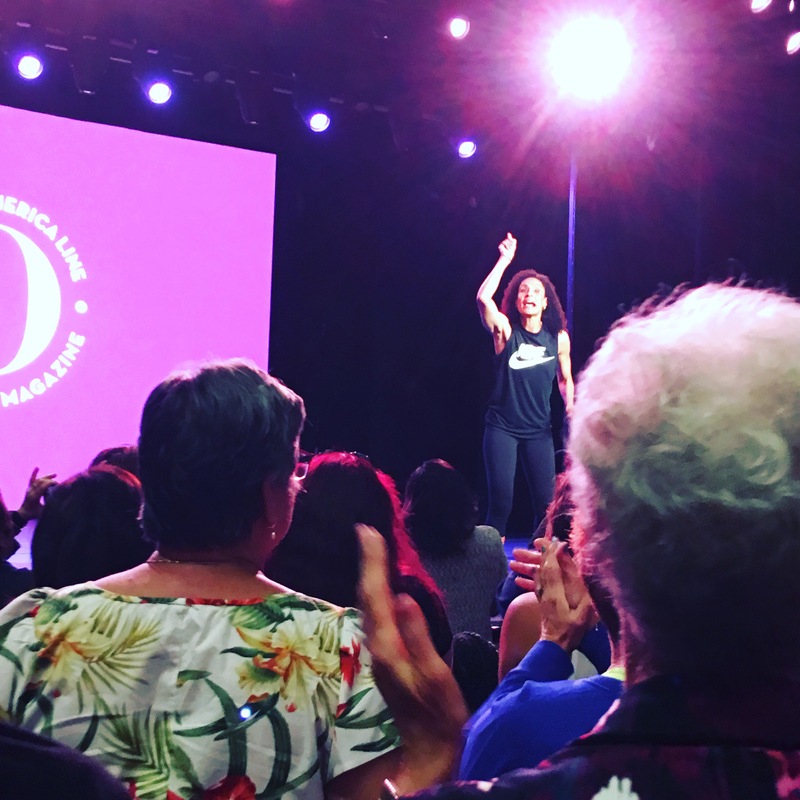 A profound connection between movement and spirituality was felt through morning yoga and when we got pumped up with Angela Davis! So grab those SuperSoul Conversations podcasts while heading out on a walk to help you keep moving in the right direction! 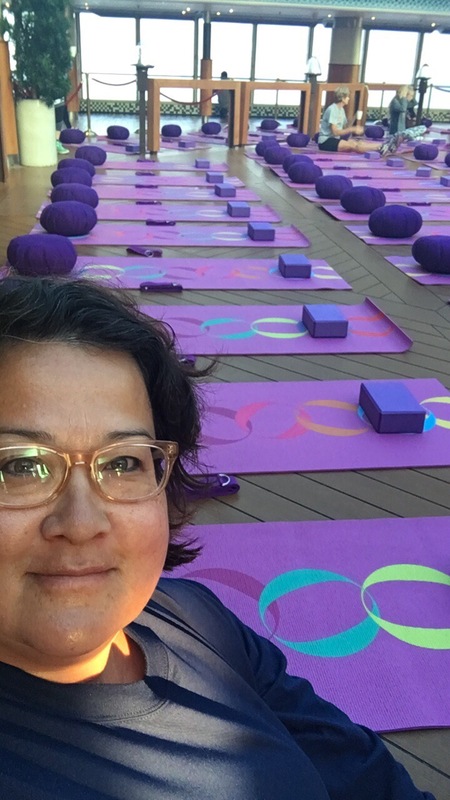 Resetting One’s Clock – On board, life’s usual deadlines don’t apply, but if you’d told me I’d be up at 7am for morning meditation and yoga with Sara Ivanhoe before I left, I’d have said, I’ll just meditate from the comfort of my bed. But I did it (except for 1 morning) and it started my day on a brighter path with stronger backbone having done that for myself first. Captain Werner Timmers hosted us in the Bridge! Crossing Boundaries – I’m not just talking about those requiring a passport, I’m talking about your internal boundaries! I dove head-first from a top my greatest fears into a thimbleful of confidence to strut in white jeans and heels across the Grand Stage in front of hundreds of cruisers in the Love That! fashion show! (Worth it!). Pinch me! We even wound up on O Mag’s social media! Diving Deep – Though it’s easy for me to brainstorm and suggest how to help others or talk enthusiastically about other things I love, I don’t have the same skills when selling myself. 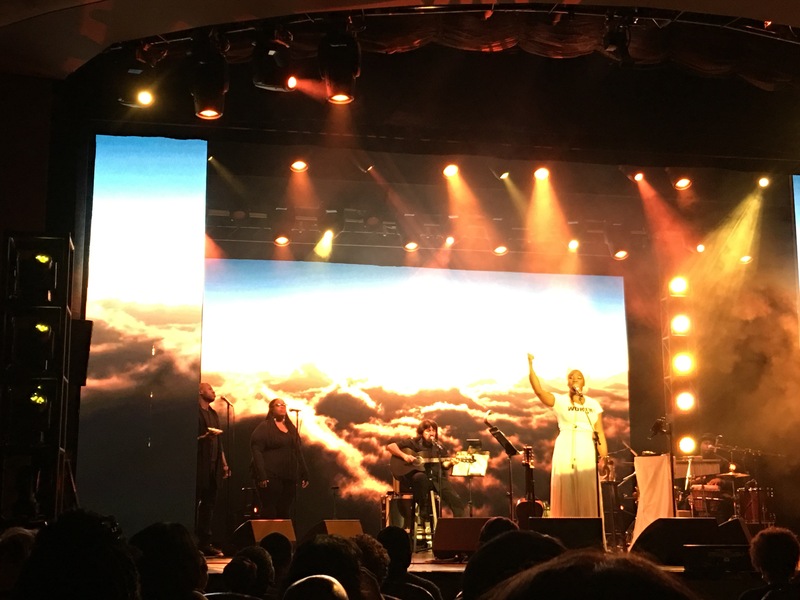 India Arie helped start the SongVersation and now I can’t stop talking. Today, I’m appearing today on my first radio show TravelBagsWithAnnita.com! Receiving Daily Gifts – While the O Mag turn-down gifts were amazing, the true gifts were confidence, calm, collaboration, and camaraderie! All of which had higher levels upon leaving the boat than when I boarded thanks to trying things I might not have tried without this cruise! 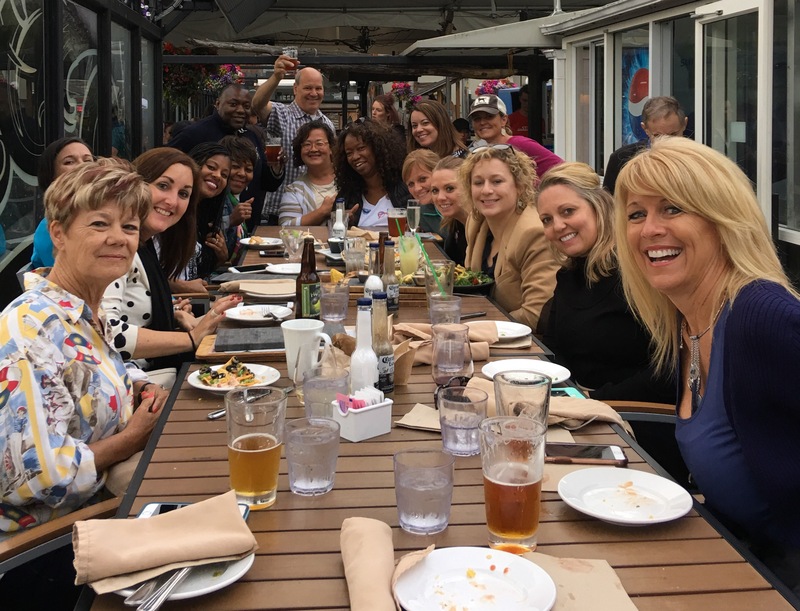 Increasing your Circle of Friends – One of the best parts of this trip was cruising and rooming with people I’d only met online through this fabulous group I get to be a part of, this year, the #OMagInsiders. Additionally, thanks to searching #OMagonHAL we can see everyone’s vacation photos and celebrate the time shared. Our friendship network now spans the globe. 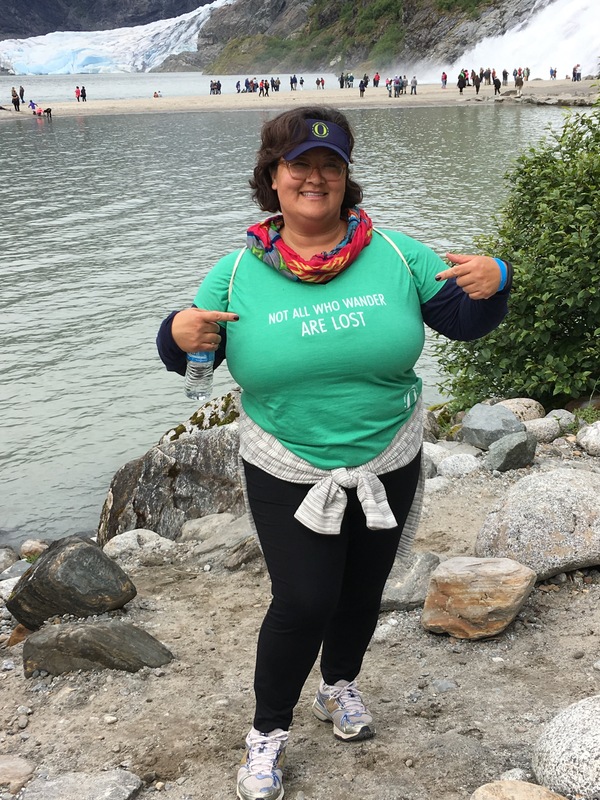 Celebrating Variety – While we all have similar mindsets to live our best lives or help others live theirs, we all present and carry out that vision in diverse individual ways! Plus it was wonderful to be in an environment to celebrate the various stories of people daring to follow their hearts, which may be interpreted much differently by people too wrapped up in the daily grind on shore! 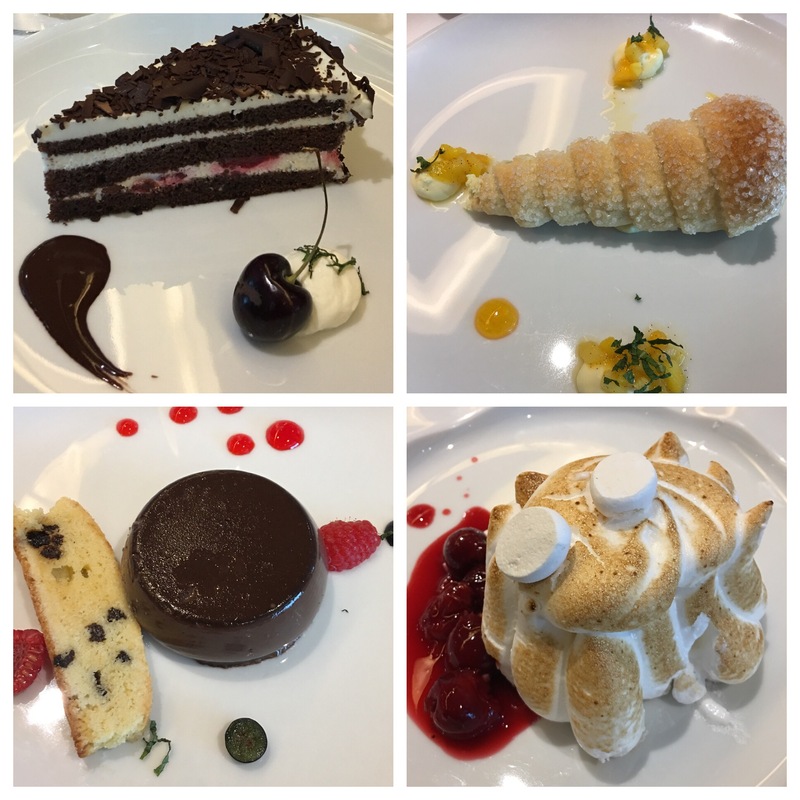 Eating Dessert First (or two dinners) – On a cruise, your self-regulating rules relax, or should, because (all together now! ): Life Is too short! Enjoy dessert, have steak and lobster, dance into the wee hours, sing at the top of your lungs in the dueling piano bar, and go for all-night pizza! It’s the best-tasting meal because it’s seasoned with life! Bonus: Paying it Forward – Once the cruise ends, how does one retain the warm glow from your life-changing trip? By setting time aside for yourself to implement your new skills and put your spin on what you’ve learned before sharing with others! 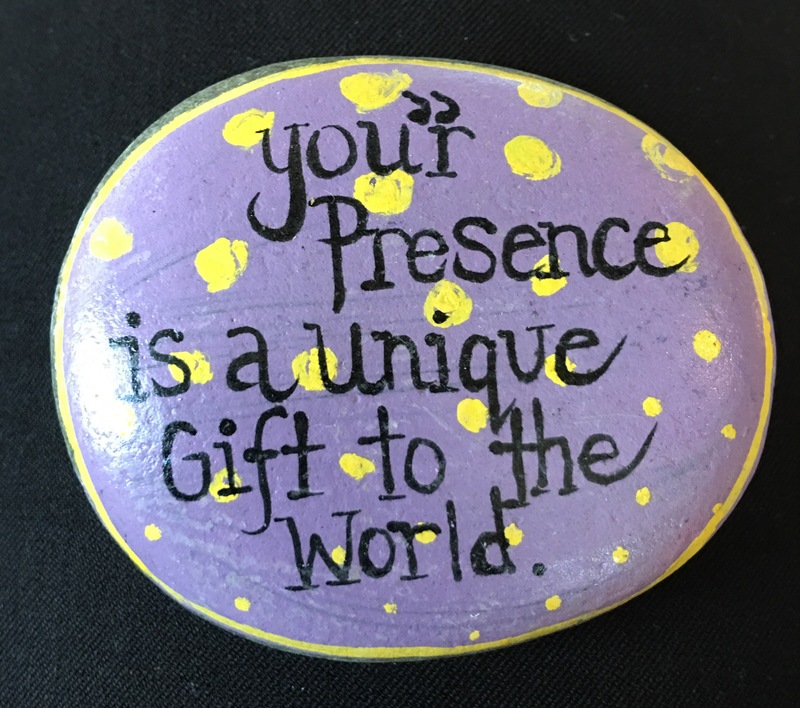 Paint and sprinkle Kindness Rocks throughout your community, send snail mail, volunteer with your favorite charity, spread random acts of kindness, be an active offline friend! Your fulfillment will exceed the level of gratitude of those receiving your efforts. The Shared Adventure continues through 2018! Check out where they’ll be and I hope to meet you there! Now I’m squirmy for my next adventure!